PCL balancing in total knee arthroplasty (TKA) is difficult to achieve with a bone-referenced technique. With a newly developed dynamic PCL spacer the flexion gap size of the knee, anterior tibia translation and distraction force were measured. We found that the flexion gap of the knee is a dynamic space which increased in size from an average of 17.3 mm with 100 N tension to 20.5 mm with 200 N tension. The anterior translation increased from 0.6 mm to 4.3 mm. The ratio between increase of the flexion gap and anterior tibia translation was 1:2. 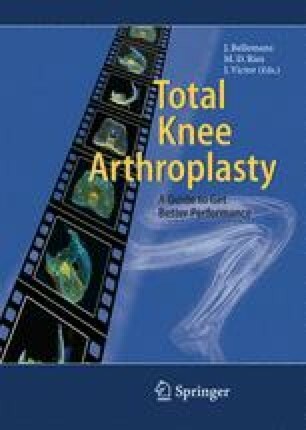 Total knee arthroplasty with the dynamic PCL spacer provided normal stability in the anteroposterior direction, a good range of flexion, and a correct contact position of the femur onto the posterior 55%–60% of the tibia in patients operated on with this technique.